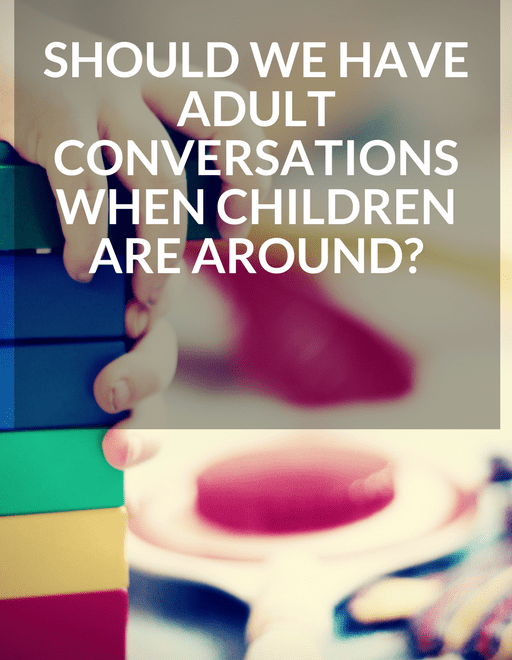 Should we have adult conversations when children are around? 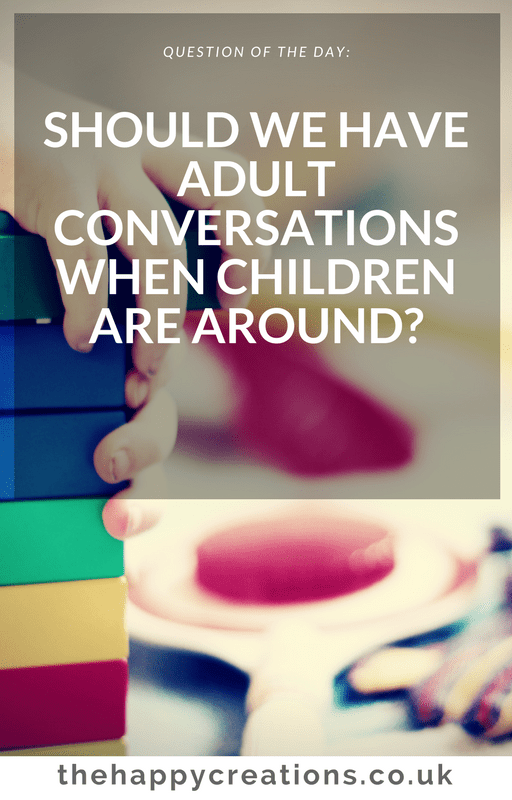 Should I have a serious conversation with another adult when my child is playing around? You will think it’s ok the children are just playing they don’t pay attention to what we are saying. Well, they do!! Believe me. Children are curious and open, they can hear what you are saying – discussing, even if sometimes they don’t understand it. That’s when children can become upset and confused. When I was I child I remember sitting on the floor playing and listening to the adult conversations. I would play with my younger sibling and at the same time listen to the adult conversation. Sometimes I would participate also in the conversation and surprise the adults that I was listening to them. There were times when I couldn’t understand what they were talking about, sometimes they would use code words while others when I would understand something completely different to what they were actually discussing. Children are not adults, they don’t have the maturity to think things thoroughly and that’s when it can get a bit dangerous for them. There was a time when my best friend thought that she wasn’t wanted by her parents because she heard her mother saying to a friend that having a child at that time of her life was an obstacle for her career. Of course, her mother didn’t mean that she didn’t want her daughter or that her daughter ruined her life but she just had a discussion about timing and opportunities. Eventually, my friend did have a conversation with her mother and her mother explained to her how much she loved her but she was in uncertainty for a large period of time. You see a child hears words and sometimes words have different meanings. What its important for us as parents – adults, is to pay attention to the words we are using and leave some conversations for private times. So be careful with your little monkeys. They can hear everything but sometimes they don’t understand everything. So think of what you are and not discussing when they are around. What are your thoughts about this? Did you have a similar experience as a child? I’d love to hear it. This month is The Royal Wedding Month! Speira Jewellery - speira.co.uk is featured in Tatler with the beautiful gondola ring by Huffy. As the preparations for the Royal Wedding have started we look into the life and all the humanitarian work by Megan Markle with World Vision. Happiness can be found in many things in life. I will try to find mine on my crafting days, making beautiful Diy’s for the house, weddings, while trying food recipes and beauty secrets and on my just wondering days, I will try to make our days brighter with my happy vibes. Creativity is within us. 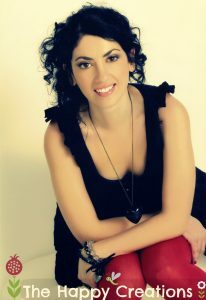 So let’s create and be happy!! !